The effortless urbanity of the Equino Bar stool by Zuo Modern is a red-hot addition to your contemporary décor. The unadorned glamour of this seductive stool will be the focal point of any gathering area. 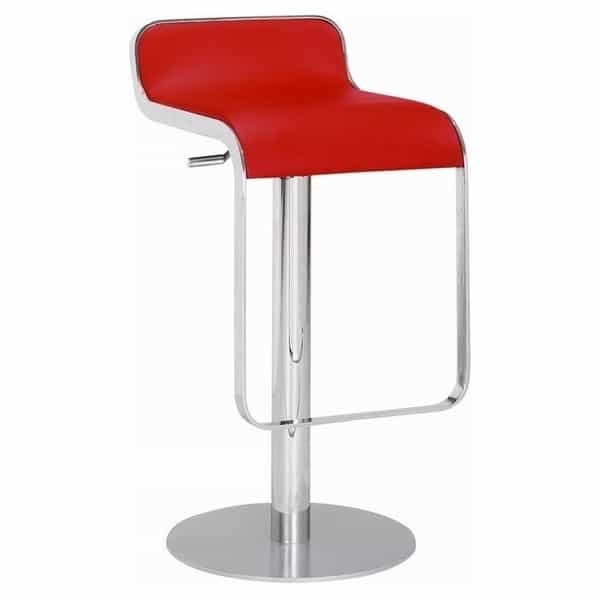 Don’t let the star quality fool you; the Equino Bar stool is constructed of heavy-duty chrome plated steel and features a washable red leatherette seat. You can use this amazing stool anywhere; it adjusts from counter to bar height!